Aakarsh asks: Is this a brass coin? 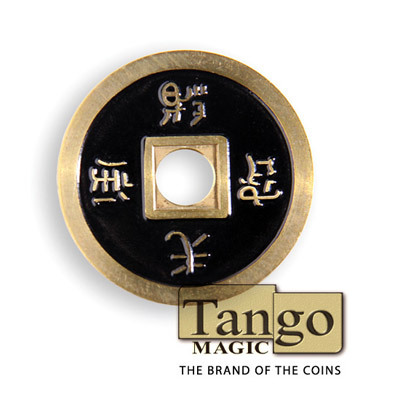 Also, does this coin exactly look like expanded Chinese shell by Tango? 1. Vanishing Inc. Magic responds: Correct. It is designed to match the Tango shell. 2. Aakarsh answers: Thank you!